No purchase necessary. Void where prohibited by law. Odds of winning depend on number of entries received. Register for your chance to win by texting IDOL to 888111 or mailing a self-addressed postcard to Lefty’s Alley & Eats, 36450 Plaza Blvd., Lewes, DE 19958 complete with your name, address, email and telephone number.. All rules will be located on iloveleftys.com and at the Lefty’s Alley and Eats. WMDT is the official sponsor of the WMDT Idol Ticket Giveaway contest. Entries will be accepted beginning Tuesday April 9, 2019 at 12:01am and end on Monday, April 22, 2019 at 11:36pm. One entry per day, per person is allowed. Must be 18 years or older to register. Guest must be at least 8 years old to attend American Idol. One individual winner will be chosen in a random drawing to win the Idol Ticket Giveaway Contest that includes the following. Prize will consist of a trip to Los Angeles, CA for Winner and one guest to the American Idol Sunday, May 12 Semifinals. Trip includes (2) tickets to American Idol on Sunday, May 12, 2019, double occupancy hotel accommodations for two(2) nights (one room, room rate and taxes only); and funds in the amount of one hundred dollars ($100) for expenses and ground transportation. Airfare for 2 domestic round-trip coach airline transportation from the major airport nearest to winner’s U.S. residence (winner and guest must fly on the same itinerary). Prize cannot be transferred by Winner or redeemed for cash and is valid only for the items detailed, with no substitution of Prize by Winner. Winners will be notified by phone and/or text. Prize is valued at $2,310.00. Winner notified on April 24, 2019. Prize Package must be picked up with valid ID at the 47 ABC offices (202 Downtown Plaza, Salisbury, MD 21801) by 12 Noon on Friday May 4, 2019. Employees and immediate family members of 47 ABC, Marquee Broadcasting, Inc., Lefty’s Alley & Eats and affiliates are not eligible to enter and win. Entrants must be legal residents of the viewing area of the Marquee Broadcasting, Inc. stations licensed in Salisbury, MD. Entries that do not meet this criterion will not be included in the drawing for prizes and not eligible to win. All submissions become the property of 47 ABC, Marquee Broadcasting. 47 ABC is not responsible for lost or missing entries. 47 ABC, Marquee Broadcasting, Inc., AIP, FremantleMedia North America, Inc., American Broadcasting Companies, Inc., Impact Marketing & Promotions, Inc., NEG Operations Inc., and all majority owned subsidiaries (including, but not limited to, 19 Entertainment Limited, 19 Entertainment, Inc., 19 Touring LLC, 19 Recordings Limited and 19 TV Limited), Telescope, Inc. and each of their respective parent, subsidiary, affiliated and related entities and the officers, directors, employees, agents, representatives, licensees and assignees of each assume no responsibility or liability for event cancellation, damages, losses or injury resulting from acceptance or use of these prizes. In the event production of American Idol is cancelled or postponed, this prize component may be cancelled without substitution or compensation thereof. All other prize elements will still be awarded. American Idol tickets have no retail value. In the event production of American Idol is cancelled or postponed, this prize component may be cancelled without substitution or compensation therefore. No purchase necessary. Void where prohibited by law. Must be 18 years of age or older to enter and win prize. Odds of winning depend on number of entries received. Register to win by going to www.47abc.com, click on “Contest” tab, click on “Lottery” and complete and submit the form or mail a postcard including your name, address and phone number to 47 ABC, 202 Downtown Plaza, Salisbury, MD 21801. Prior winners of the Maryland Lottery On-Line Contest are not eligible to reenter and win for 90 days. Entries will be accepted beginning Wednesday, March 27, 2019 at 12:01p and end at 12:00p on Wednesday, April 24, 2019. One entry per day, per person. Four lucky winners will be chosen in a random drawing to win fifty (50) $1 lottery scratch-off tickets on Wednesday, April 24, 2019 at 12:00p. Winners will be notified by phone and/or email. Each prize is valued at $50 as set by the Maryland State Lottery. Prize must be picked up within 7 business days of notification. Employees and their immediate family of 47 ABC, Marquee Broadcasting, Inc., its affiliates and Maryland State Lottery are not eligible to win. All submissions become the property of 47 ABC. 47 ABC is not responsible for lost or missing entries. 47 ABC, Marquee Broadcasting, Inc., The Maryland State Lottery and all participating sponsors, their agencies and parent companies’ assume no responsibility or liability for damages, losses or injury resulting from acceptance or use of these prizes. By participating in this contest, you accept and agree to these rules, which shall be final and legally binding. You also hereby allow 47 ABC, Marquee Broadcasting, Inc. and the Maryland State Lottery the right to use your name, image and voice for any and all future promotional purposes. Entries will be accepted beginning Wednesday, February 27, 2019 at 12:01p and end at 12:00p on Wednesday, March 27, 2019. One entry per day, per person. Four lucky winners will be chosen in a random drawing to win fifty (50) $1 lottery scratch-off tickets on Wednesday, March 27, 2019 at 12:00p. Winners will be notified by phone and/or email. Each prize is valued at $50 as set by the Maryland State Lottery. Prize must be picked up within 7 business days of notification. No purchase necessary. Void where prohibited by law. Contest dates 11/1/18 – 5/31/19 . First drawing to be held on 11/1/18. Each day Monday through Friday during Good Morning Delmarva (5am-7am) entrants having a birthday on that day will be recognized with a Birthday Club graphic showing name. One of these entrants will be selected by random drawing to be that day’s Birthday Club winner. Those with Saturday and Sunday birthdays will be listed on the Friday Birthdays graphic and will be included in the random drawing for the Friday winner. The winner’s name will be announced during Good Morning Delmarva and will be listed on the Birthday Club contest page of 47abc.com. The daily winner will receive a prize package consisting of: $10 gift card from Dairy Queen, plus a $25 gift card from Vernon Powell. No substitutions or cash equivalents allowed. To register, visit the 47ABC.com contest page, or send your name, address, date of birth and phone number or e-mail address on a 3”x5” postcard to: Good Morning Delmarva Birthday Club, PO Box 4009, Salisbury, MD 21803. Entries are limited to one entry per person. The daily prize package will be sent via USPS to the winner. By registering to win you release Marquee Broadcasting, Inc. and its subsidiaries to use your name and likeness for promotional purposes. 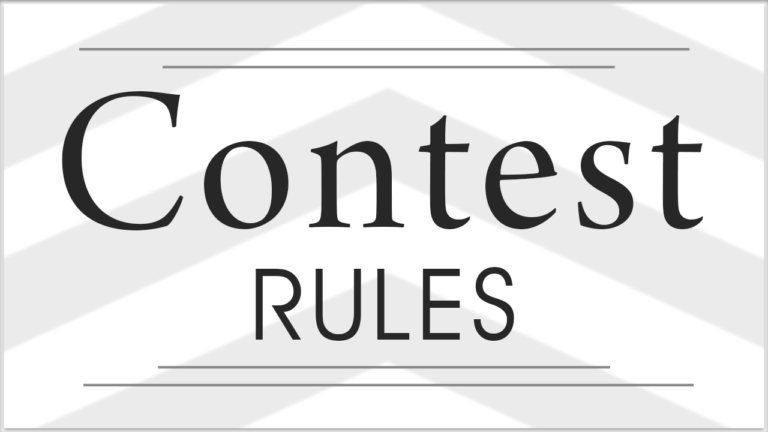 By participating in this contest you agree to abide by these rules, and shall not hold liable Marquee Broadcasting, Inc. or sponsors for any injury, accident, illness, death, delay or inconvenience that may be associated with acceptance of the prize. All submissions become the property of Marquee Broadcasting, Inc. Marquee Broadcasting, Inc. and all participating sponsors, their agencies and parent companies are not responsible for lost or missing entries, or for prize packages lost by USPS. Employees of Marquee Broadcasting, Inc., Dairy Queen International and Vernon Powell are not eligible to win. The Mountaire Better Awards are monthly awards designed to highlight individuals, businesses, organizations or classrooms who are going above and beyond to assist others in their community or to improve/protect the environment. Each month a winner is chosen by a Mountaire selection committee from submitted nominations. Each winner receives a crystal engraved trophy. The Better Carolina Award winner is highlighted in print with the Fayetteville Observer Newspaper and on www.mountaire.com. The Better Delmarva Award winner is highlighted on a WMDT-TV commercial, on select WMDT web features and on www.mountaire.com. Our goal is not only to recognize those who are already making a difference in the state of North Carolina and on the Delmarva Peninsula, but to encourage others to take on a greater role in bettering their local communities or improving the local environment. Anyone who is volunteering at community events, performing wonders in a local hospital, teaching in a classroom, helping the homeless, or something as simple as cleaning up the trash along our roadways can be a candidate for this award. Please use the form below to nominate someone for the Mountaire Better Award. We also encourage you to send photos of the nominee in action.